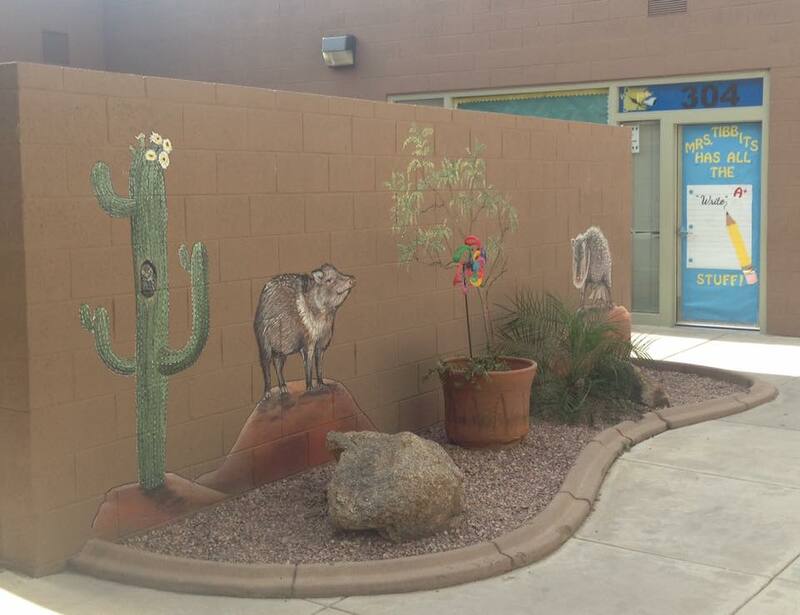 "The mural, designed and created by artist Kyra Kalageorgi, was commissioned by the Sonoran Arts League, a non-profit organization dedicated to promoting art, artists, and art education to improve the life and well-being of the community." 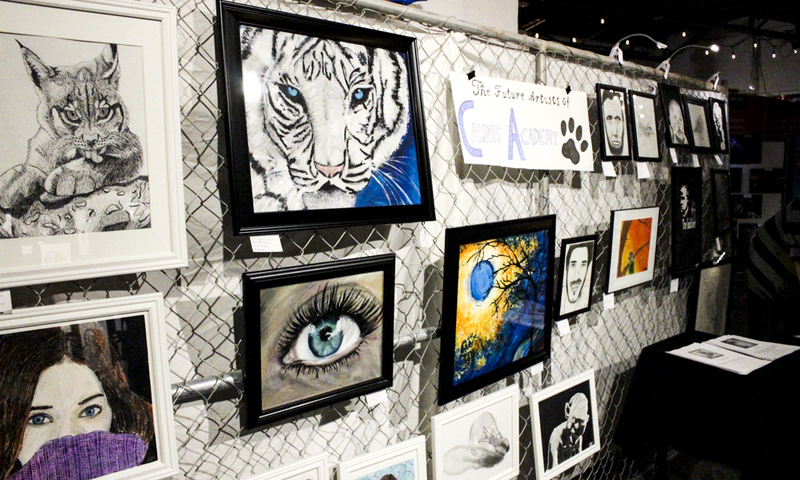 The 'Husky Den' mural was designed by Kyra Kalageorgi (me) and created with the help of participants of Caurus Academy's Mural Club - we projected the design on the wall and the Middle School students were able to follow along with and use their own creative minds to blend and add details through this process. 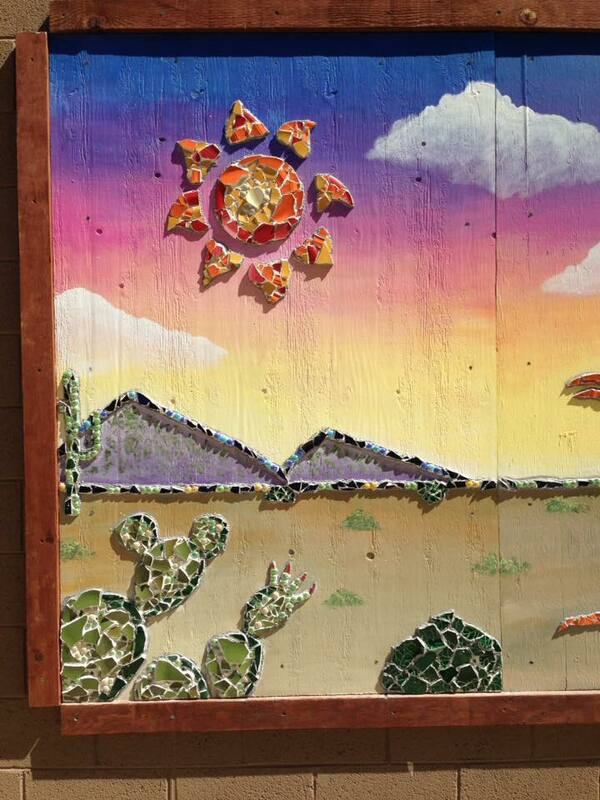 The wall itself is about 48ft by 20ft. 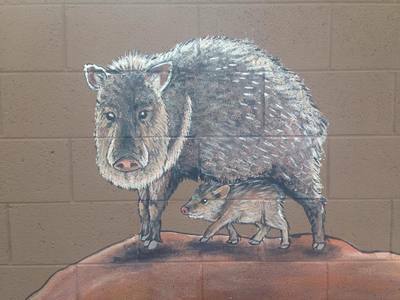 'Art In The Heart Of Cave Creek' is a project I am overlooking and designing, thanks to the sponsorship of the Sonoran Arts League and the help of the children, parents and staff of Quality Interactive Montessori. 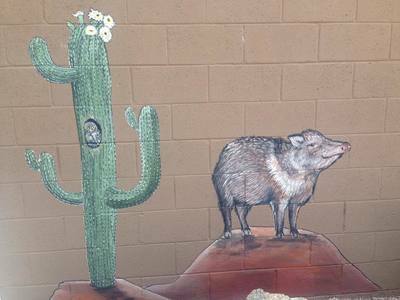 The mural itself represents the history of Cave Creek, with the first section based on the mining and ranching that helped Cave Creek become what it is today. The children of the community did an absolutely fantastic job and we all worked together to complete this "giant coloring book" wall - represented here is Part 1 out of 4, which is to be continued through the year 2018. 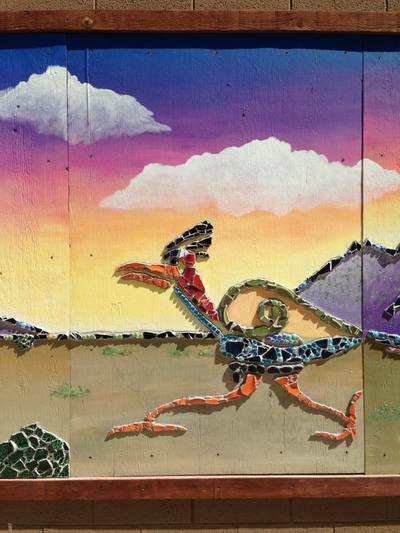 This is a 2ft by 44ft garden wall mosaic made by Kyra Kalageorgi (me), K through 6 and the preschoolers of the Q.I. Montessori located in Cave Creek, Arizona. The mosaic represents the Montessori 'Timeline of Life' that Maria Montessori created to educate children about the different eras our Earth has gone through. 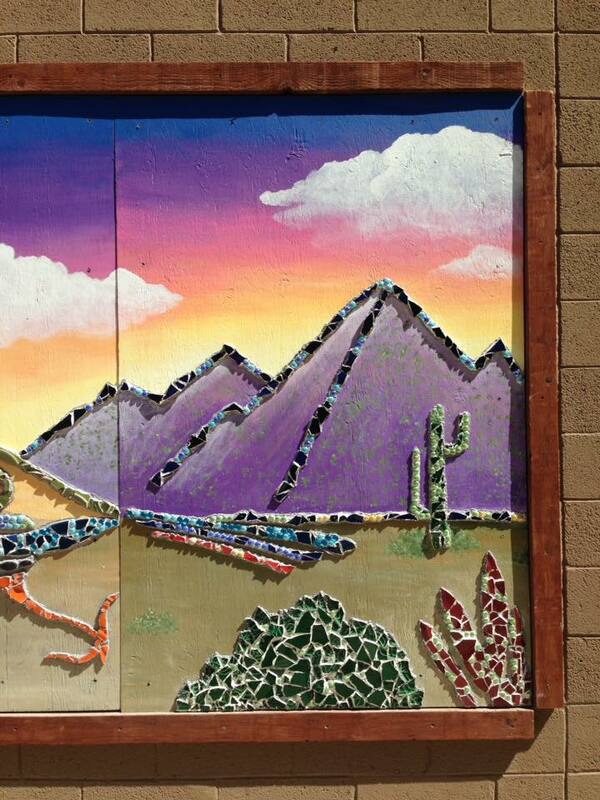 The mosaic was made with various glass tiles and plates. 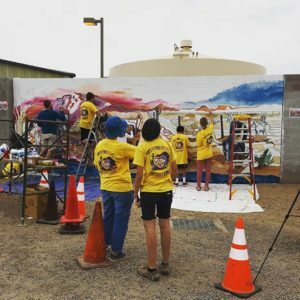 Below is a time-lapse of the Havasupai Waterfall Mural created in 2015 -- privately owned and located in Scottsdale, Arizona. 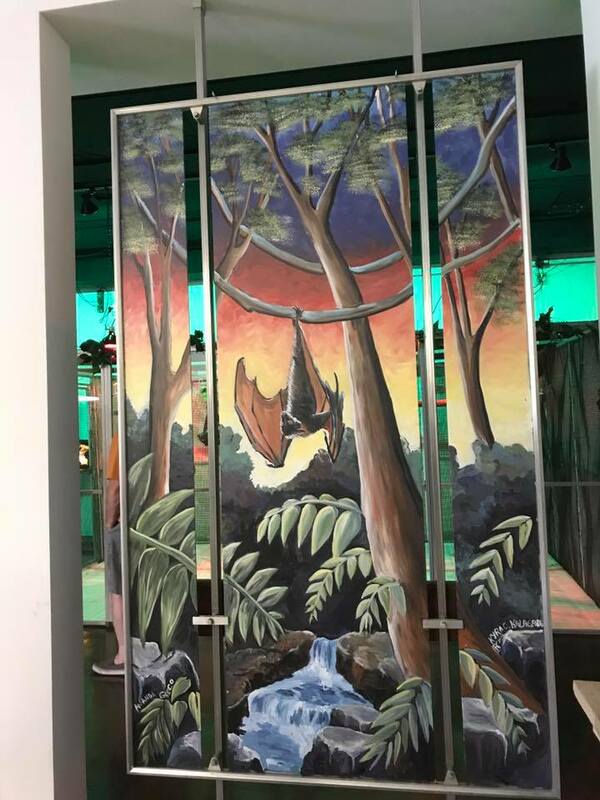 Dimensions are 3-5ft x 8ft. 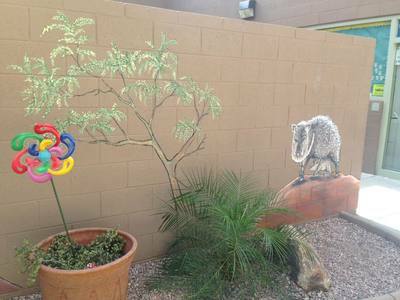 A 4' by 6' trompe-l'oeil of the Four Peaks and desert with wildlife located in Cave Creek, Arizona. 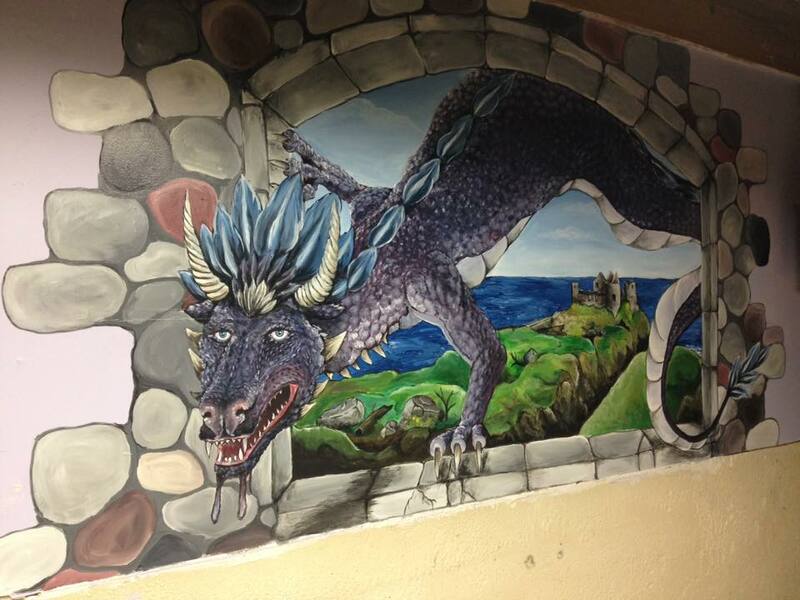 'Dragon By The Sea' is a custom mural made for a private home in Lake Orion, Michigan. 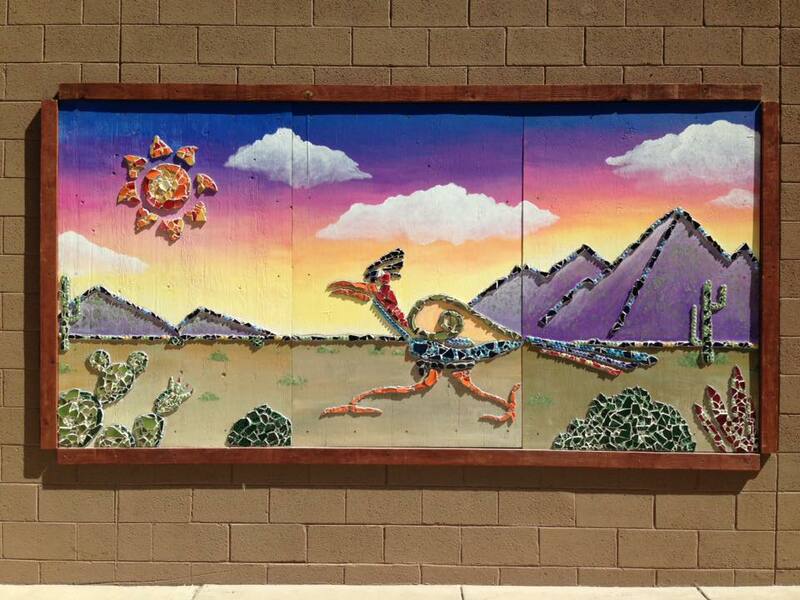 This 6' x 12' 'Roadrunner' mural/mosaic was completed May 5th 2017 by the 5th grade classes of Desert Willow Elementary School located in Cave Creek, AZ. Time-lapse video coming soon. 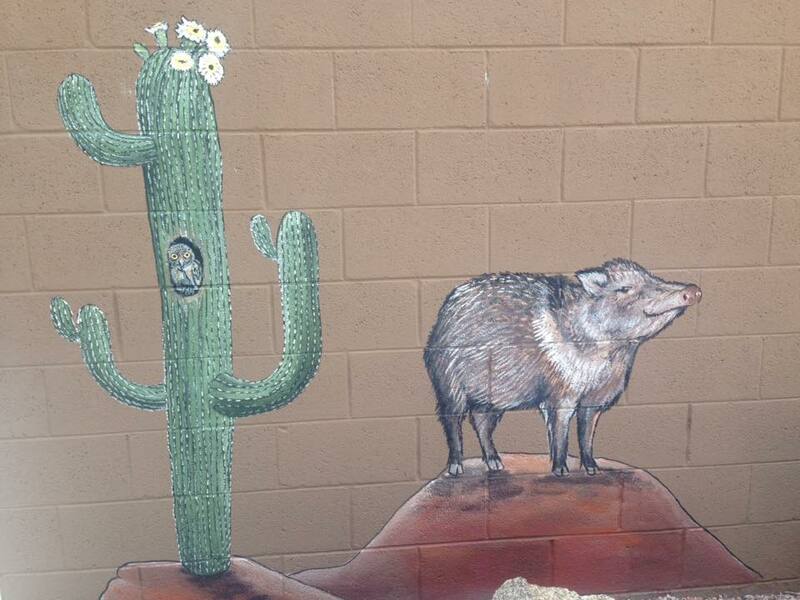 The 'Javelina Spot Mural' is located at Desert Willow Elementary by the 2nd grade classroom. 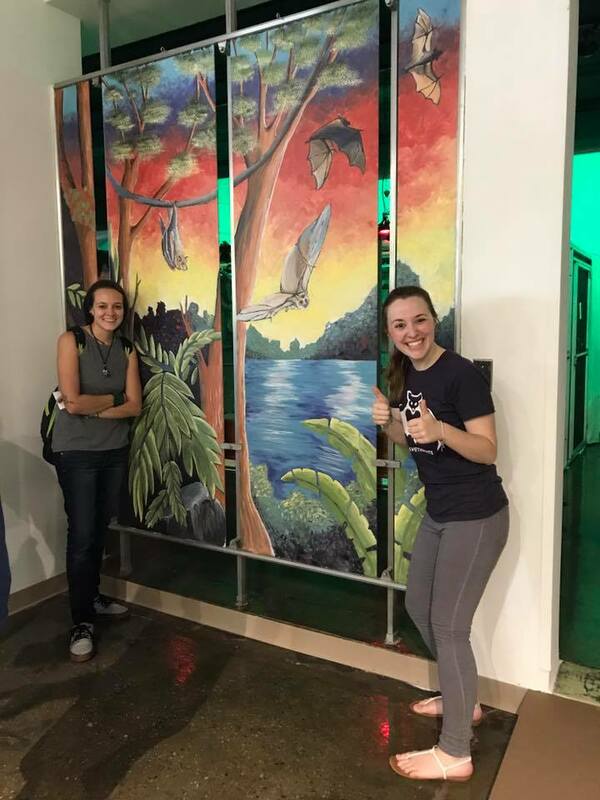 Located in Pontiac, Michigan at the Organization for Bat Conservation.